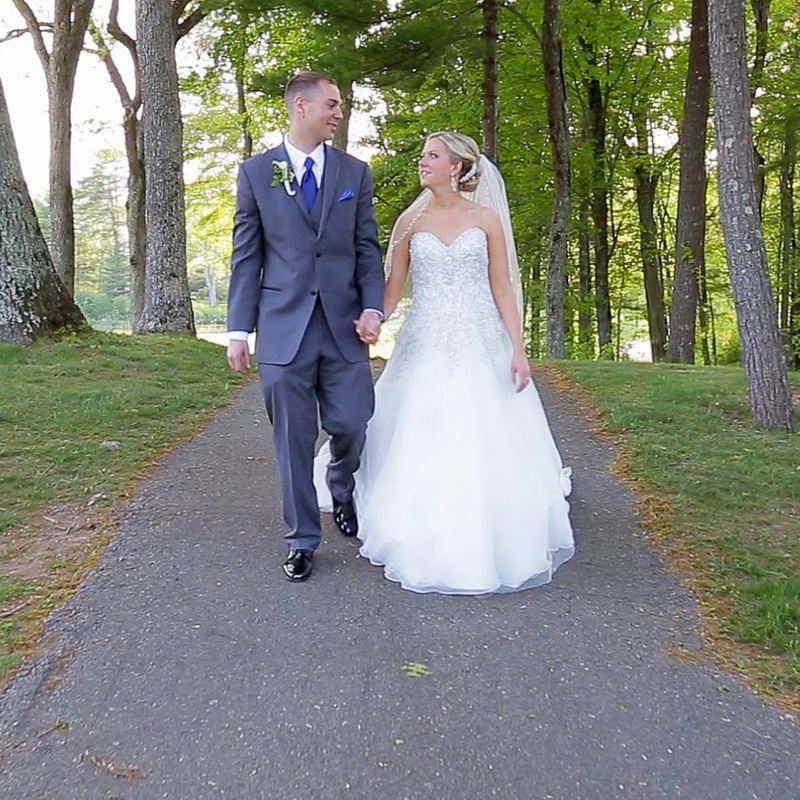 Our cinematic wedding film services start at $3800 and include two cinematographers shooting on cinema quality Canon DSLR cameras and specialized microphones. We realize that no two weddings are exactly alike, so if our packages don't quite fit your needs, we're happy to create a package customized for your once-in-a-lifetime event. We are available for both local and national travel and can't wait to learn more about your big day! All wedding film packages include your wedding ceremony and reception toasts in a lightly edited (documentary style) format. All packages also include a highlight film that tells the story of your wedding day through our creative storytelling process (Standard Package contains a 3-5 minute film; Elegance Package contains a 5-7 minute film; Premiere Package contains an 18-20 minute film). Every project includes our signature trueIMAGE enhancement process for soft skin tones and richly colored details. You'll also receive our exclusive trueDEMO process which allows you to review the film and request changes/edits prior to the final versions being created. New for our 2019 film season, we're now offering an online streaming service for our wedding films. We've partnered with streaming service MediaZilla to provide a truly unique experience for our wedding couples. Disc-based systems (DVD, Blu-ray disc) are great for having dynamic menus with scene-selection options (think of buttons to "jump" to certain parts of the movie), and USB drives make it easy to watch the content on devices such as smart TVs and computers. But we haven't been able to offer truly interactive disc-style menus with the ease of online streaming... until now. We're excited to bring this new streaming platform to you, and we're confident this will make your wedding film that much more thrilling to watch for many years to come. Couples can enjoy their films on mobile phones, tablets, and computers. And there's even an Apple TV app that makes it insanely easy to view on a large screen. Check out the film below to try out the service yourself!